Is McLaren's 1,000 Horsepower Hypercar Coming To Pebble Beach? 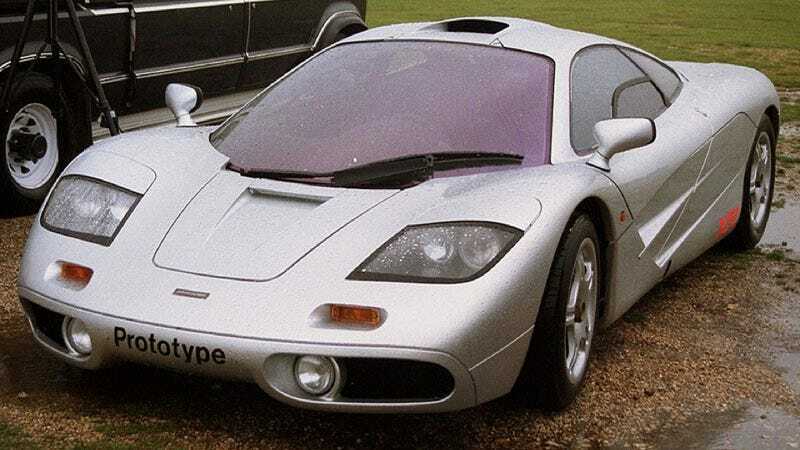 Even though the fairly astonishing MP4-12C has only been out for a short time, McLaren is now preparing to introduce a spiritual successor to the F1 hypercar of the 90s. Now, there are rumors that the car, dubbed P12 or possibly 799, will make an appearance at a private event for potential buyers at the Pebble Beach Concours in August. The car is said to have incredible, dramatic styling that will make those that hate the sedate and purposeful MP4 do many double takes. Rumors also say that the car will have an 800 horsepower V8 and an additional 200 horses from a KERS type hybrid system. The goal for the car is insane acceleration instead of a Bugatti Veyron destroying top speed. But then again, top speed was never a priority for the F1 and it was the fastest car in the world for more than a decade.